Location. 43° 8.368′ N, 74° 23.508′ W. Marker is in Bleecker, New York, in Fulton County. Marker is on County Route 112 0.1 miles south of Gutha Road, on the right when traveling north. Touch for map. 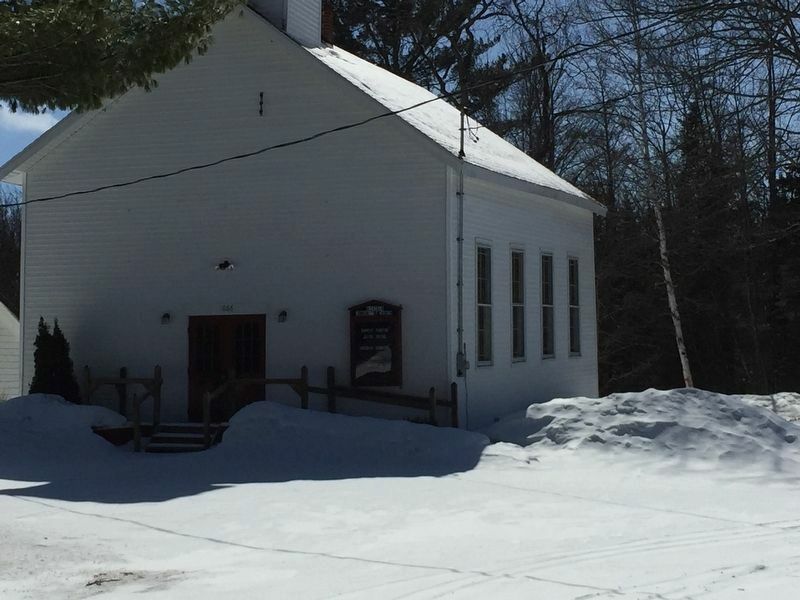 Marker is in this post office area: Gloversville NY 12078, United States of America. Touch for directions. Other nearby markers. At least 8 other markers are within 7 miles of this marker, measured as the crow flies. Bleecker Center Cemetery (approx. 0.9 miles away); Bleecker Factory Cemetery (approx. 1.8 miles away); Amasa Stephen (approx. 5½ miles away); Kingsborough Academy (approx. 5.8 miles away); Woodworth Farm (approx. 6 miles away); Last Home (approx. 6.1 miles away); Baptist Church (approx. 6.2 miles away); Burying Ground (approx. 6.3 miles away). Touch for a list and map of all markers in Bleecker. More. 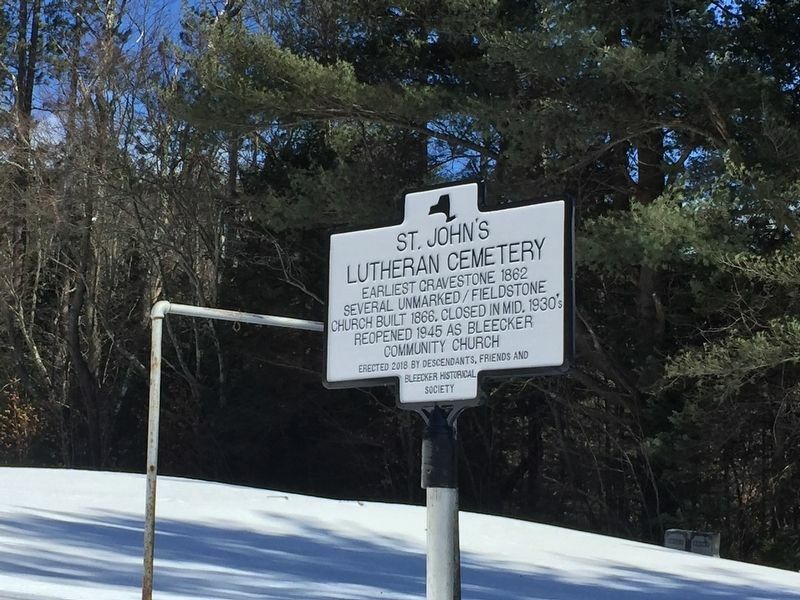 Search the internet for St. John's Lutheran Cemetery. Credits. This page was last revised on March 29, 2019. This page originally submitted on March 26, 2019, by Steve Stoessel of Niskayuna, New York. This page has been viewed 26 times since then. 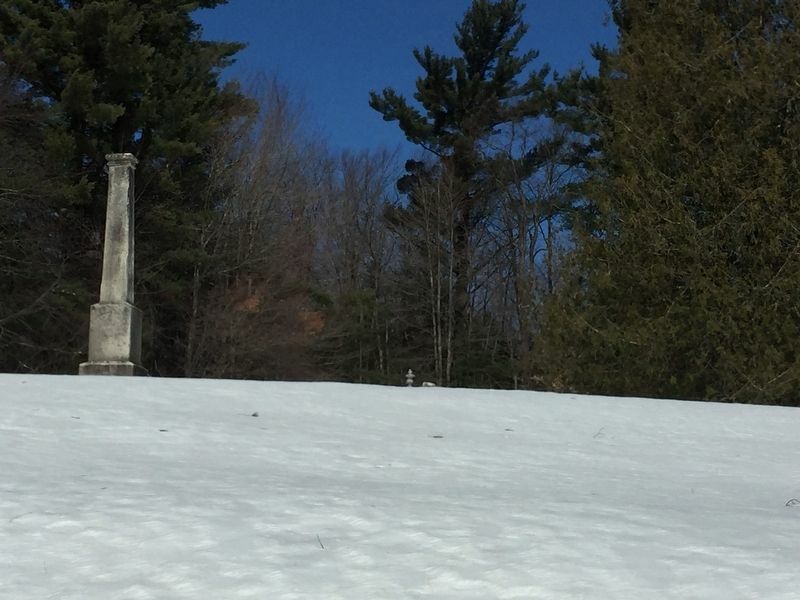 Photos: 1, 2, 3. submitted on March 26, 2019, by Steve Stoessel of Niskayuna, New York. • Bill Pfingsten was the editor who published this page.